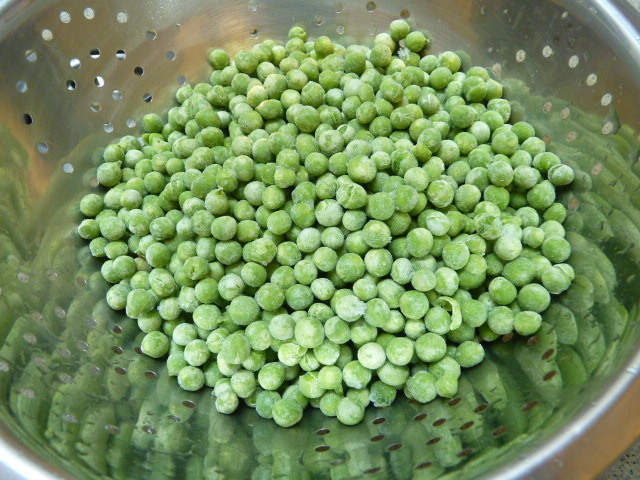 Until I moved to Greece, I never thought of peas as a main dish. They were always on the side of the plate, plain, and never the star. In Greece, peas are a main dish and they are absolutely delicious. I could eat these every day. 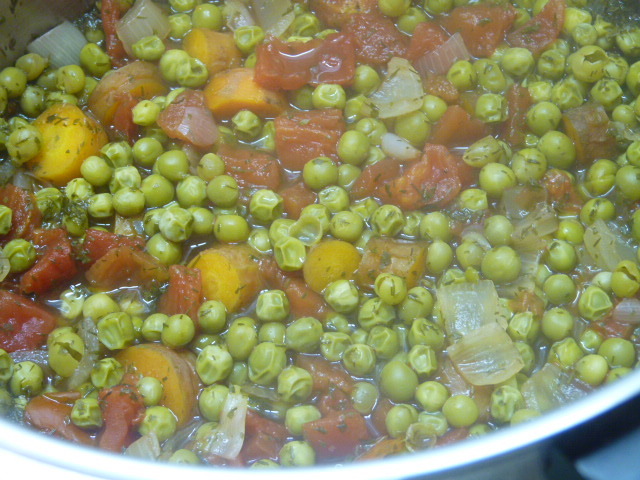 These are a great pantry dish – made with stuff you probably already have on hand: frozen peas, potatoes, carrots, onions, diced tomatoes. 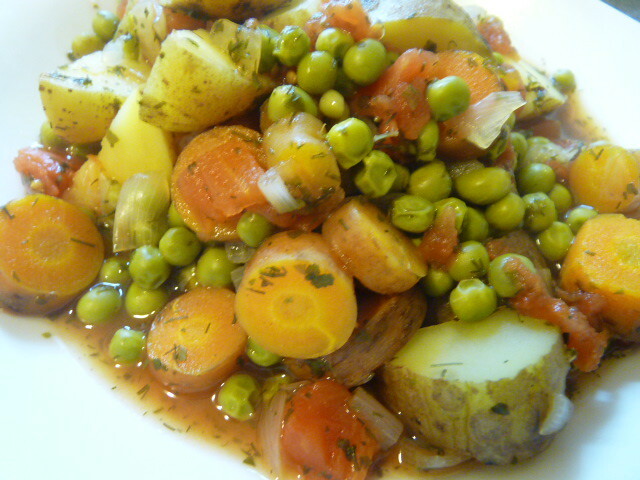 In a pressure cooker or a regular pot, put in the peas, potatoes, carrots, and onions together. Add the tomatoes and cover with water by a few inches. 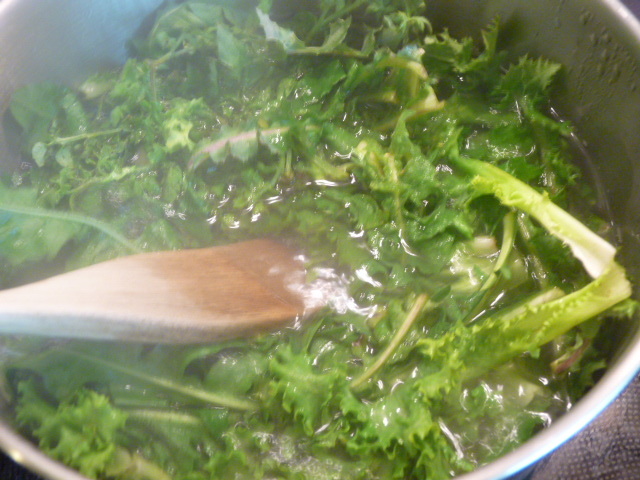 Stir in the dried dill and parsley. If you’re using a regular pot, cook covered for about 45 minutes, and don’t let the water cook off. In a pressure cooker, cook for about 10 minutes. Serve and then garnish with green olive oil, salt, and pepper. Serve with feta cheese and crusty bread. 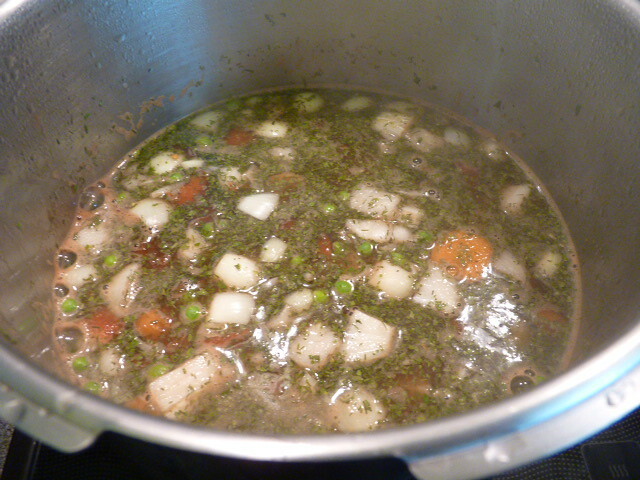 I always make it this way; however, you can also add large chunks of beef and cook it as a stew. 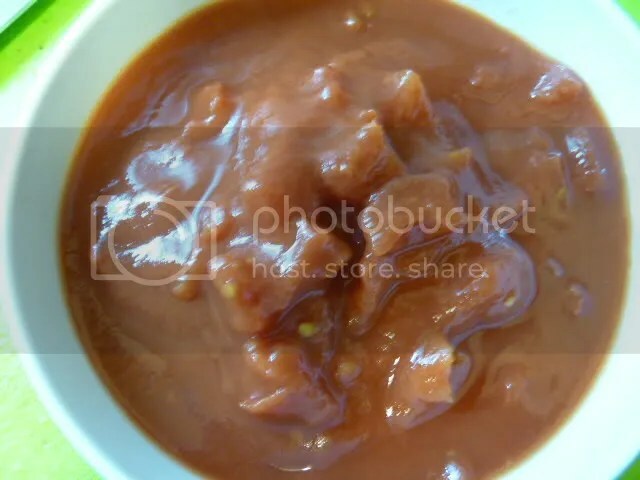 And if you don’t have diced tomatoes but you have plain tomato sauce, you can substitute that; it works just fine. 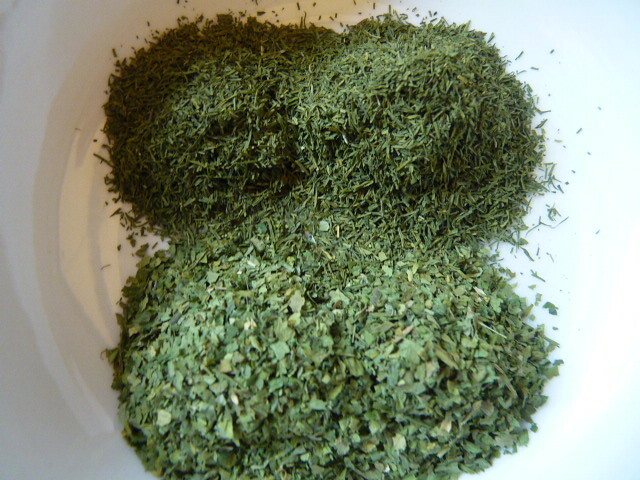 You can use fresh herbs in place of dried; just triple the amounts. 1. 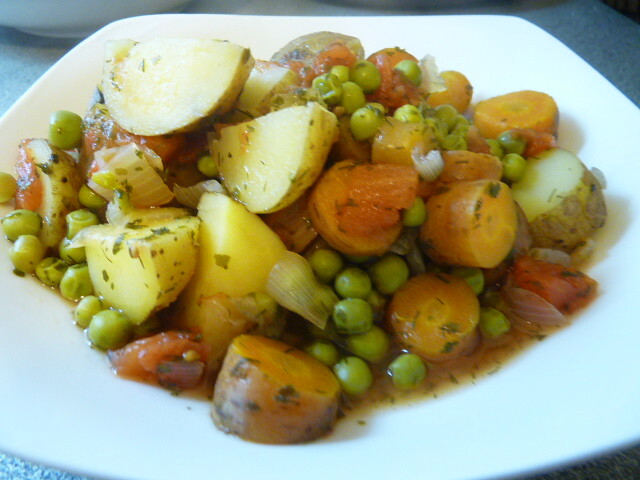 In a large pot, combine peas, potatoes, carrots, onion, tomato sauce, dill, and parsley. Cover by 2 inches / 5 cm with water. Cover the pot. Cook for 45 minutes, or 10 minutes if a pressure cooker. Add water if necessary. 2. Season with salt and pepper. Drizzle a tablespoon of green olive oil over each serving. vitamin A (890%), calcium, thiamin, niacin, vitamin B-6, phosphorus, selenium, magnesium, zinc, vitamin C, iron (47%), riboflavin, food folate, manganese, and copper. 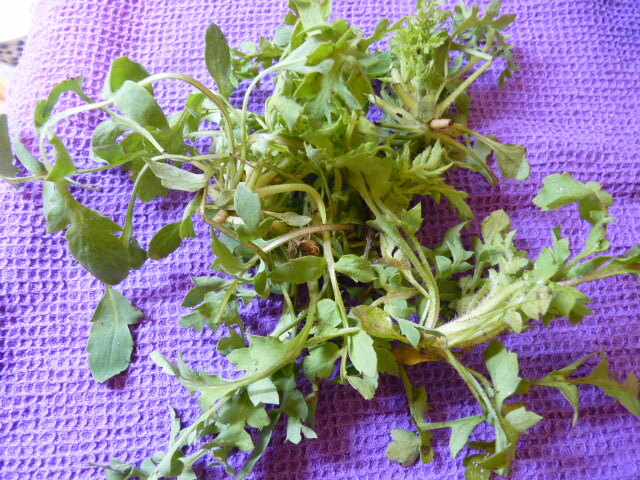 S couldn’t believe it when I told him that we don’t eat wild greens all that often in the US. “But they’re so healthy – and free!” True, but… well, I don’t know why we don’t. 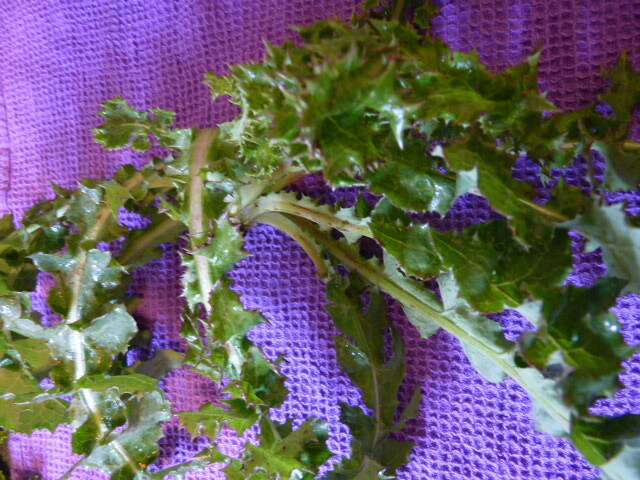 In Greece, they’re practically a staple in the countryside when they’re in season. 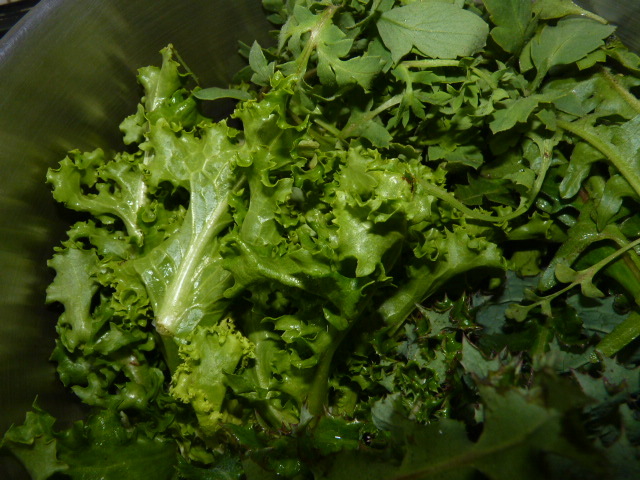 And with the range of edible greens that grows here, there’s always something in season, year round. You do have to know how to identify them – you can end up with a stomachache or worse if you eat the wrong ones. So for those who don’t know, or who live in the city, it’s best to start by buying them at the farmers’ market, where they are very inexpensive. 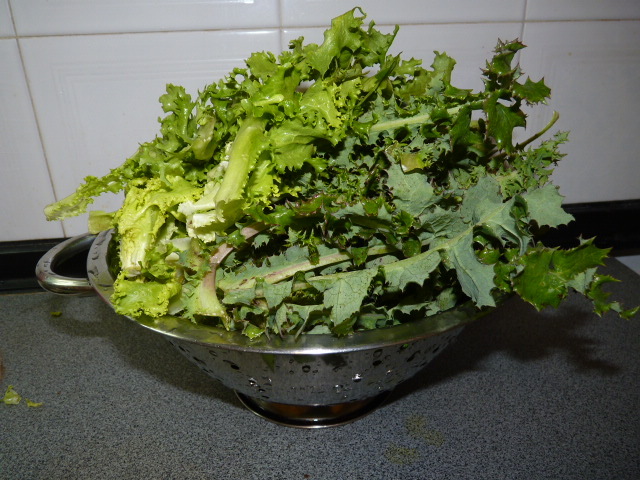 There were a few questions on the poppy leaves that I served with the fish and skordalia, so I thought I would show you what wild greens are in season now and how we prepare them. Some of these will be very familiar to you, some others might not be. 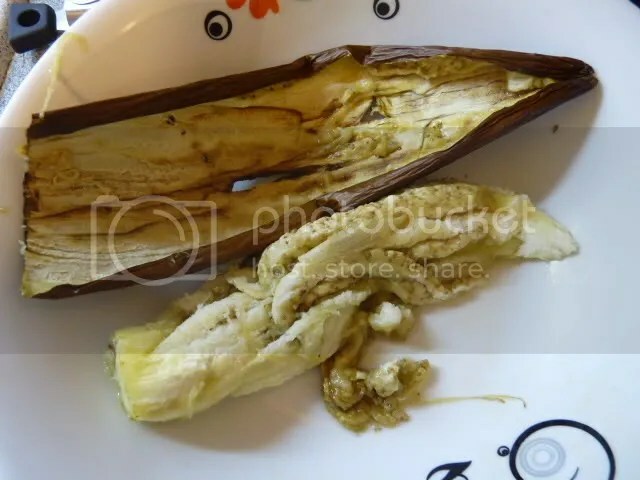 Right now, the four kinds that are in season here are endives (antidia / αντίδια in Greek), poppy leaves (paparounes / παπαρούνες), sow thistle (zohos / ζοχός), and wild radicchio (radikia / ραδίκια). Above: poppy leaves. In traditional Greek folk medicine, these are used as a cough suppressant and a anxiolytic. Above: sow thistle. These were traditionally used as a galactogogue (to encourage milk production in nursing mothers), as a general antidote for poisons, and for liver problems. 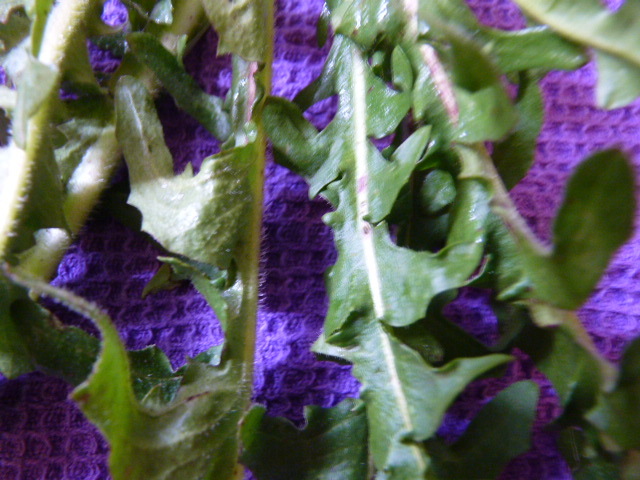 Above: wild radicchio / chicory. These are traditionally used in spleen, liver, and gall bladder problems, and against diabetes. and that’s only for a side dish! 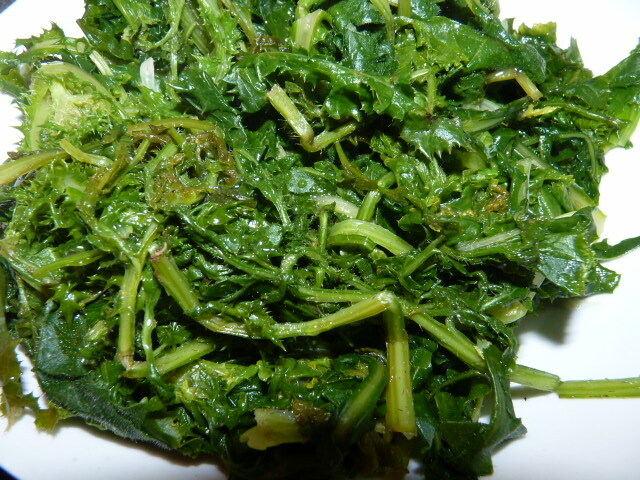 If someone wanted to eat wild greens as a main course, it would be much more than this. 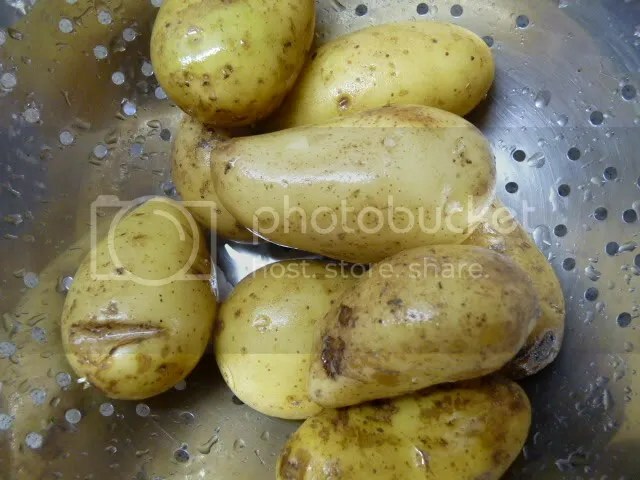 But they are best as a side dish, due to their slight bitterness – especially if you’ve never had them before. That’s not to say that I haven’t sometimes made them as a main dish with some crusty bread! Bring some salted water to a boil. Plonk them all in together in the water once it’s boiled. Press them down into the water with a wooden spoon and let them cook for a few minutes. After a few minutes, turn them so that the ones on top go to the bottom. When they’re done, remove them with tongs (don’t pour into a colander to strain – you’ll end up with dirt on your food). If you are concerned about the color, you can put them into cold water to help keep them green; they will brown slightly if you don’t. The American instinct is to let them cook for 12 seconds and then dunk them in water full of ice cubes. However, the Greek way is to cook them for quite a while (around ten minutes). You don’t get all 9,000,000 vitamins but they are a lot easier on the digestive tract. If you want the rest of the vitamins, you can drink the cooking water after it cools. It’s supposed to treat all kinds of things. It’s bitter, like all real medicine. Strain it through a coffee filter first so you’re not drinking dirt. 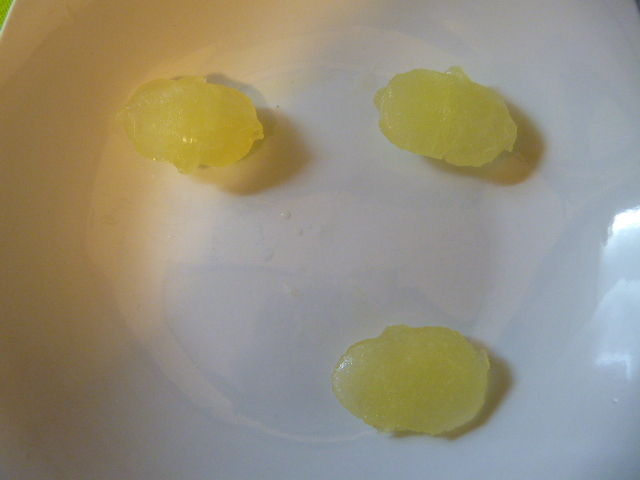 Because I like to buy lemons at the height of the lemon season and freeze the juice, I use lemon ice cubes for this. 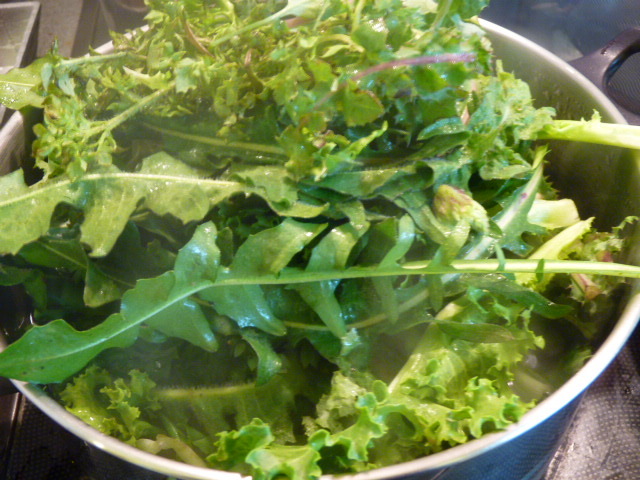 But you would normally just squeeze some lemon juice over the greens. 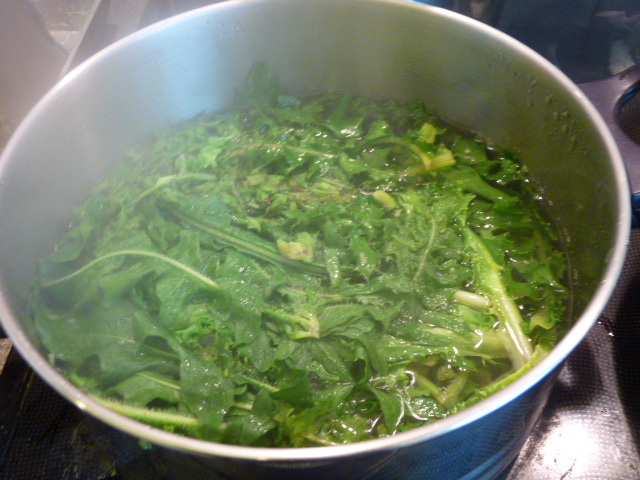 I put my lemon ice cubes in first so that the hot greens on top melt them quickly. 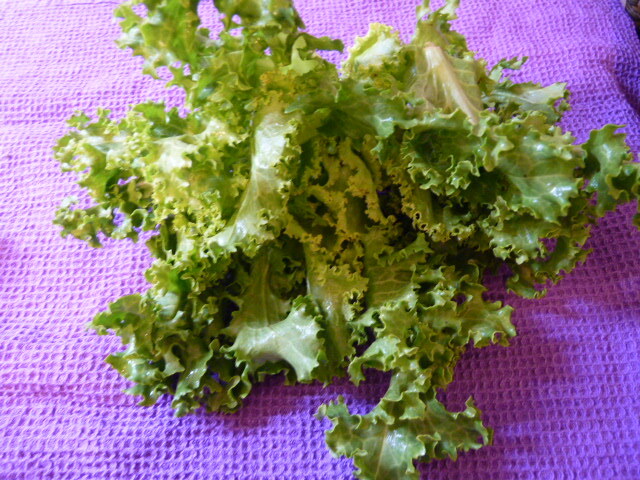 The lemon juice helps neutralize the bitterness in the greens. Drizzle a little olive oil, salt, mix it all up, and serve! 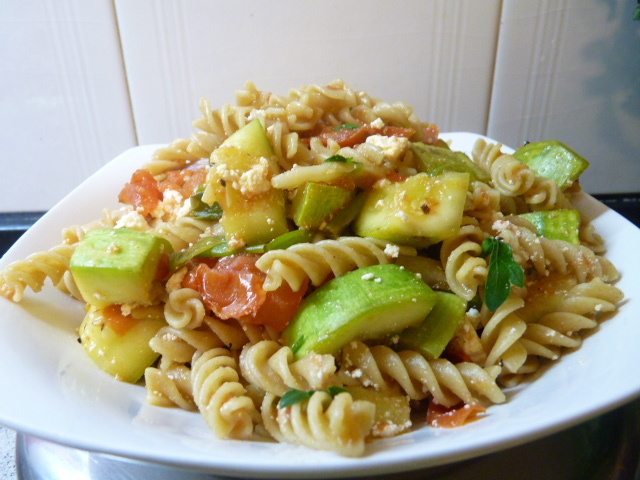 I served them alongside a simple summery pasta with zucchini, purple scallions, tomatoes, parsley, and anthotyro. 1. Bring salted water to a boil. Chop off the root ends of the greens. 3. Salt; drizzle with lemon juice and olive oil. 4. Optional: strain the cooking water through a coffee filter and drink for additional benefits. I’m not including nutritional information because I couldn’t find it for all these wild greens. However, rest assured that they’re basically calorie-free (although olive oil has 120 calories per tablespoon), and full of vitamins and other good stuff! 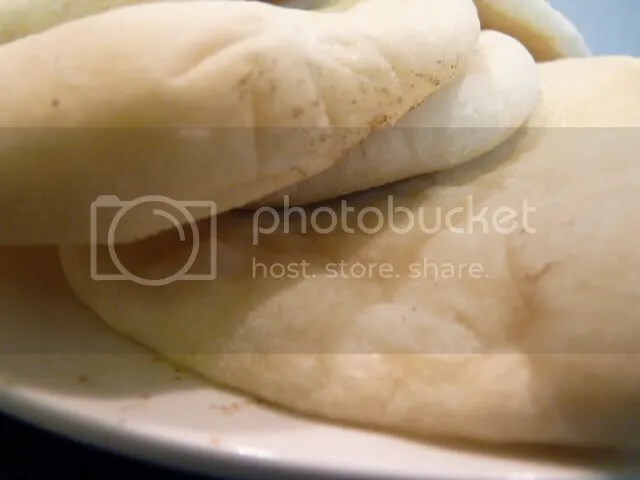 After living and traveling in the Eastern Mediterranean for over a decade, I’ve seen a lot of pita bread cross my plate. None of them have ever come close to this one – except the one made by an Israeli friend when she was teaching me how to make this one. So thank you to Sarit for the lesson! But don’t be intimidated – it’s not difficult. Because the goal is the ultimate in pillowy softness (as I write this, I imagine myself as the star in a fabric softener commercial, you know the ones where the pretty lady with the spring in her step and the twirly dress has flower petals rain down on her from Heaven), I use all purpose flour; but you can use half all purpose and half whole wheat if you like. I would not recommend using 100% whole wheat flour for this particular recipe. These pitas will create a pocket, so you can open the pocket and stuff them. We usually use them for dipping rather than stuffing, but it’s your pita so you can do whatever you want with it! 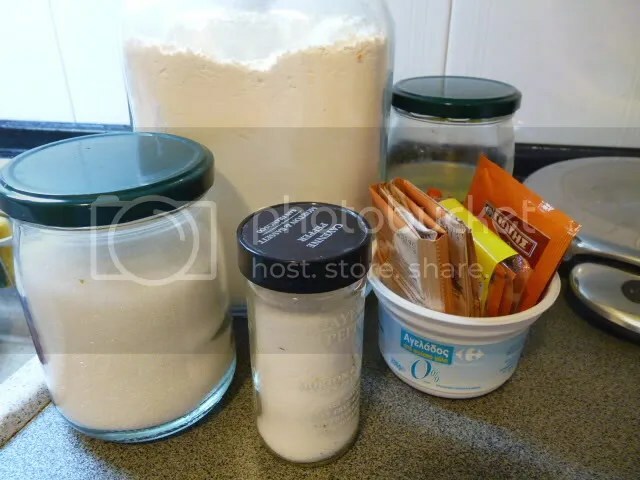 The ingredients are extremely simple and very, very frugal. The only things you need are all purpose flour, yeast, warm water, salt, sugar, and olive oil. You also need a cookie sheet or baking sheet. Start by proofing the yeast. 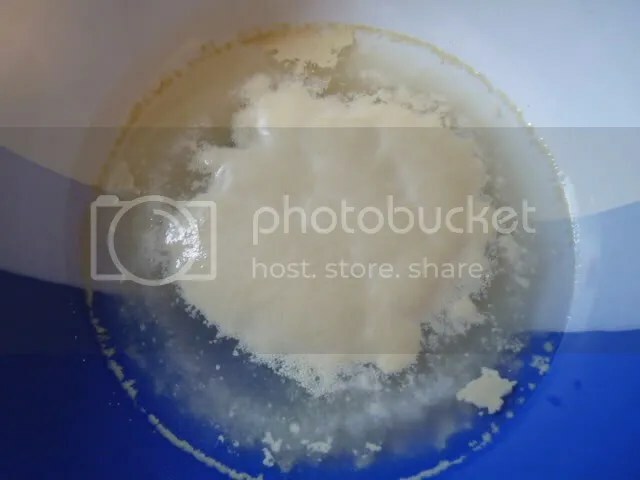 Sprinkle the yeast and sugar over warm water in a large bowl. Allow it to sit for a few minutes until it foams. 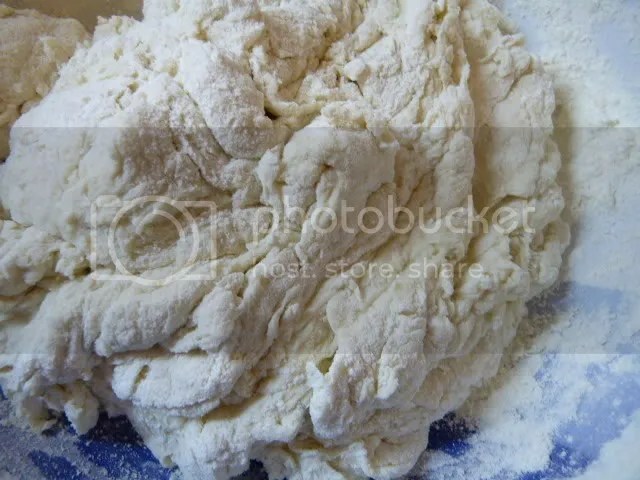 Meanwhile, weigh out the flour. When the yeast is ready, stir in the flour, salt, and olive oil. 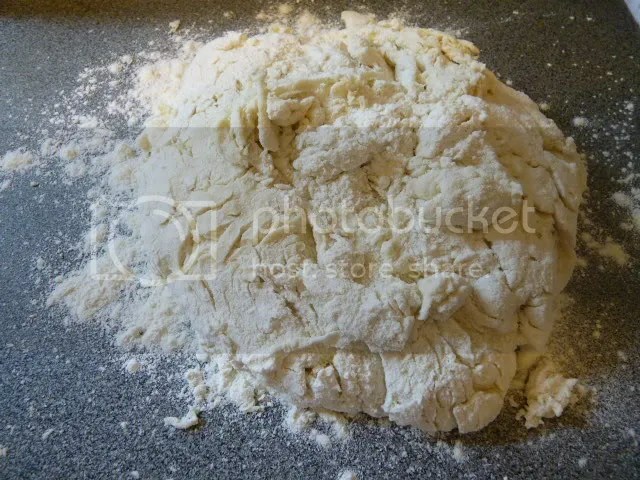 Turn out the dough on a floured surface and knead with floured hands for about ten minutes. 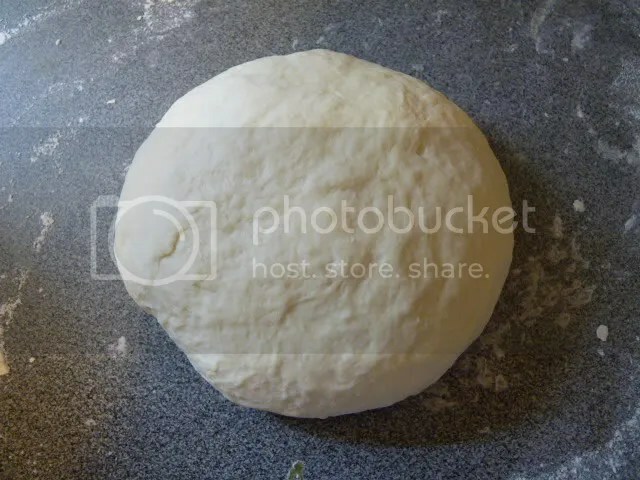 I have a tutorial on kneading dough just like this one here. 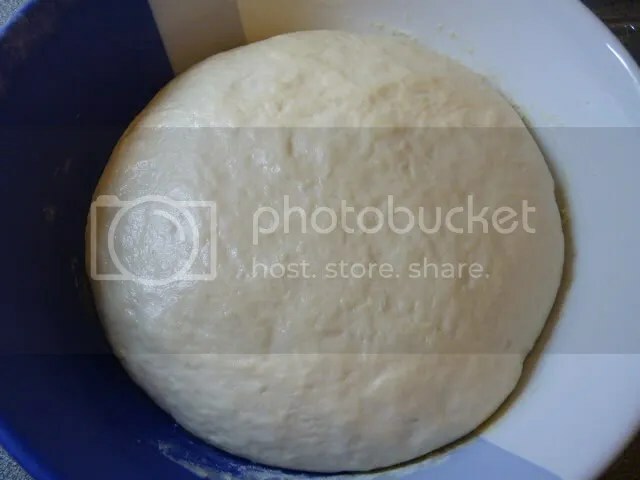 Whenever I knead this dough, I always get drowsy. The dough is so soft, that I want to curl up and take a nap on it. Put it back in the bowl and cover with plastic wrap and a kitchen towel. Let it rise for 90 minutes at room temperature. After 90 minutes, turn on the oven to its maximum heat. Place a baking sheet in the oven upside down. It’s important that your baking sheet preheat together with the oven. Check the dough; it should have doubled in size. Turn it out onto the counter. 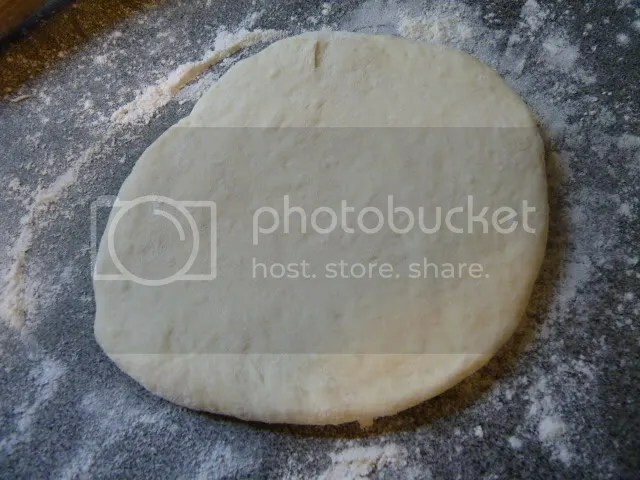 Press out the air from the dough and divide into the number of pitas that you want. 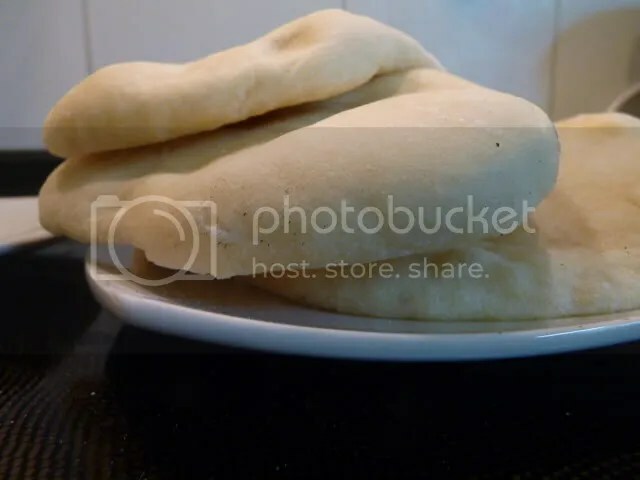 For this recipe, you can either make 8 regular pitas or 6 large ones. I made 8 regular ones. Form them into balls and place on a plate or two. Soak the kitchen towel in water, ring it out, and drape it over the balls. Let them rest like this for 20 minutes. Roll out two balls at a time with a rolling pin, leaving the others under the wet towel. Roll them to a thickness of about 1/8″. When you have two ready to go, put them on the hot baking sheet. Close the oven door and wait about 1.5 to 3 minutes. They should puff up. Take them out (be careful not to burn your fingers too badly!) and roll out the next two. You want to keep your eye on these so they don’t burn. The puffiness is a good indicator of when they’re ready. I tend to take mine out after about 2 minutes; most recipes say to bake for 3. It will depend on your oven. 1. 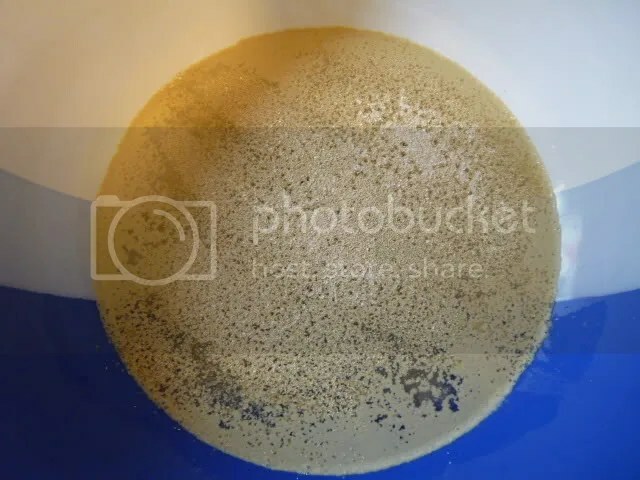 Proof the yeast: put the water in a large bowl and sprinkle the yeast and sugar on top. Set aside for 10 minutes, until it foams. If it doesn’t foam, throw it out and start over with new yeast. 2. 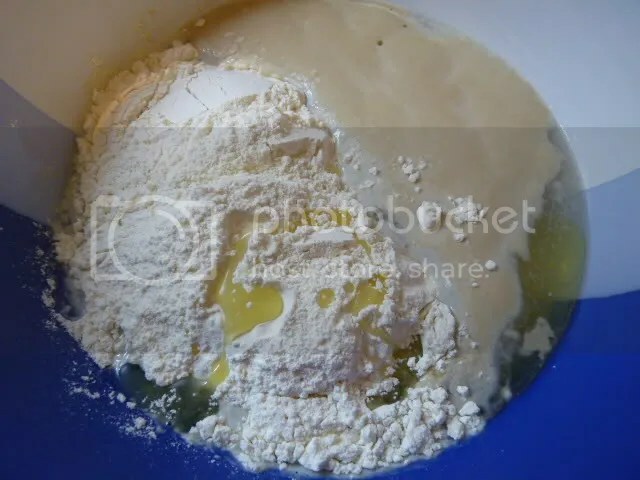 Stir the flour, salt, and olive oil into the water and yeast mixture. 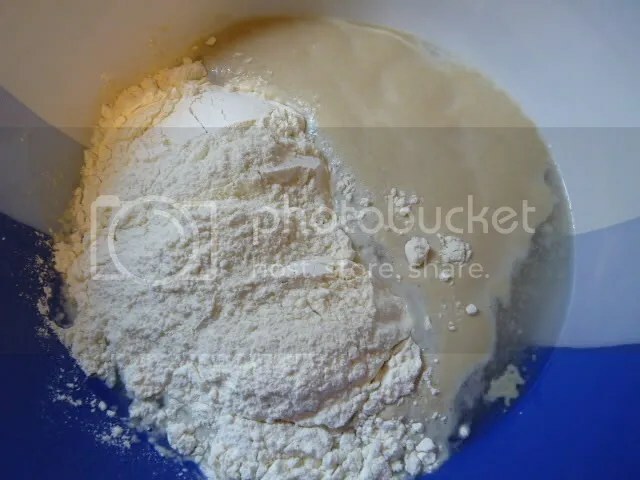 When it is fully combined, turn out onto a floured surface and knead with floured hands for 10 minutes. 3. 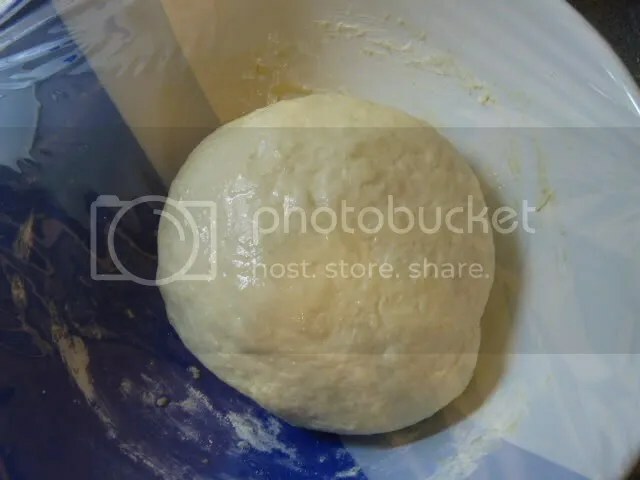 Oil bowl and top of dough. Place in oiled bowl and cover with plastic wrap and kitchen towel and allow to rise for 90 minutes. 4. 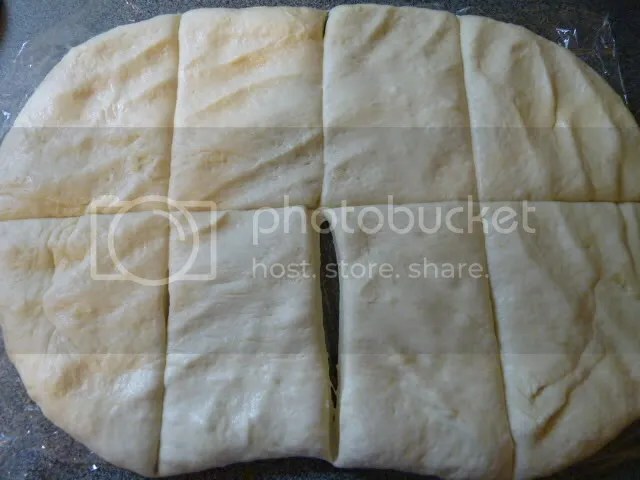 Press air out of dough and divide into 8 pieces (6 for large pitas). Form each piece into a ball. 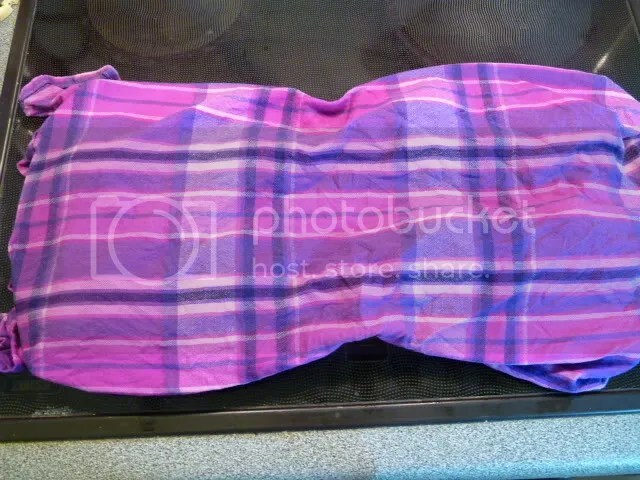 Cover with a damp kitchen towel and allow to rest 20 minutes. Preheat oven to maximum heat with a baking sheet upside down on a middle rack. 5. Roll two balls into 1/8″ thick (1/3 cm) circles. Place on the very hot baking sheet. 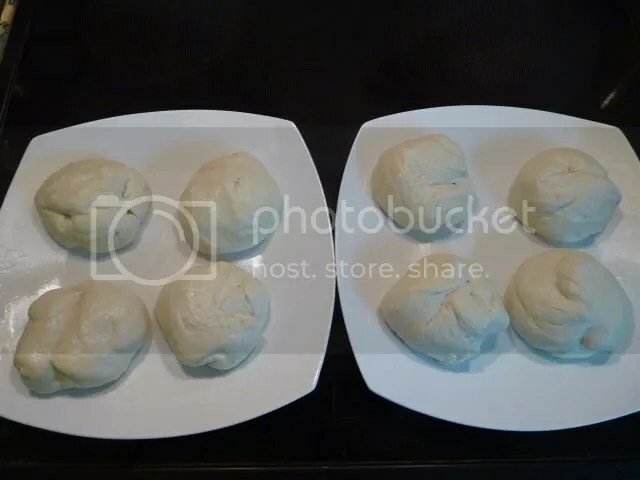 Allow to bake 1.5-3 minutes until puffy but not brown. Remove and continue with the rest of the balls. thiamin, niacin, selenium, iron, riboflavin, folic acid, and manganese. This is a summer dish but I made it now at the end of winter. S and I are so sick of winter that when I saw eggplant and Florina peppers at the farmers’ market, I couldn’t resist. 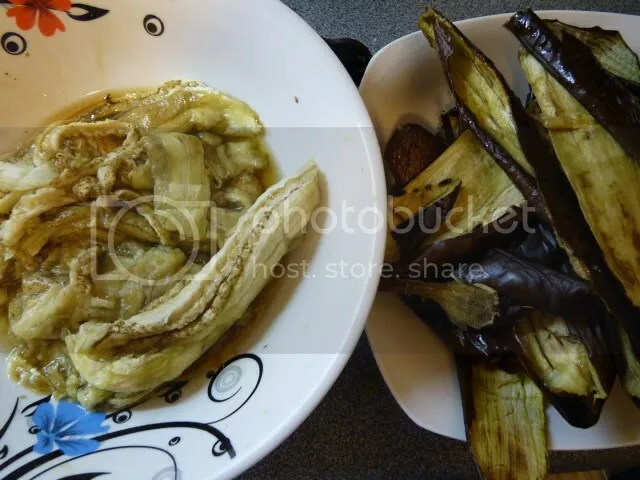 These eggplant come from the Peloponnese, the southern part of Greece, so they don’t quite count as ‘local,’ but they’re still Greek, so they’re not expensive even now. Thank goodness, because we needed this summery dish! 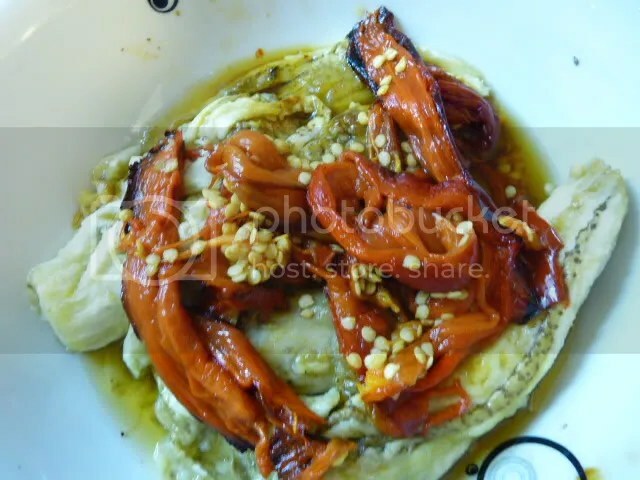 This is a delicious, traditional Greek dish that looks and tastes impressive, but is extraordinarily easy to make. Florina peppers are an integral part of this dish, so if you can’t find them, use red bell peppers instead of leaving them out. Florina peppers are the extra-sweet fleshy red banana-shaped peppers famous throughout Northern Greece. They’re much tastier than bell peppers but you use what you’ve got. 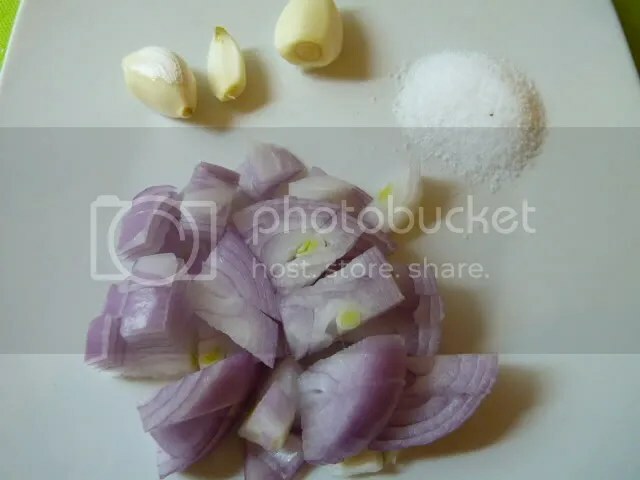 The only other ingredients beside the eggplant and peppers are red wine vinegar, olive oil, garlic, parsley, and salt & pepper. I use fresh parsley only if I’m growing it. So this time I used dried. You can use either. Preheat your broiler to maximum heat. 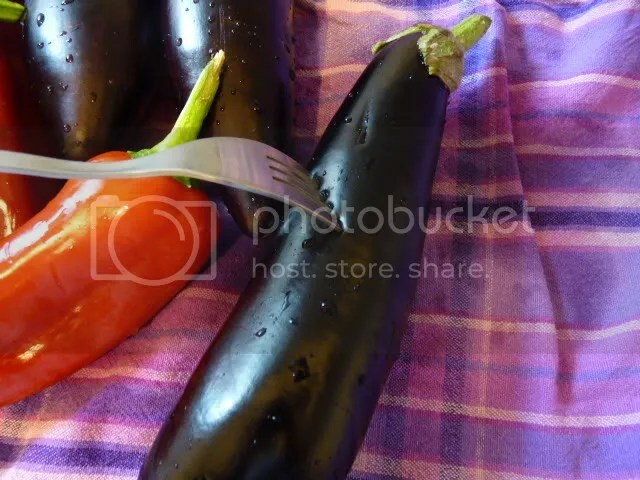 After washing the eggplant and peppers, puncture the eggplant with a fork in about 3 places per eggplant. You don’t need to stab the peppers. Arrange the vegetables on a baking sheet and pop under the broiler. Wander off and do something else for a while. 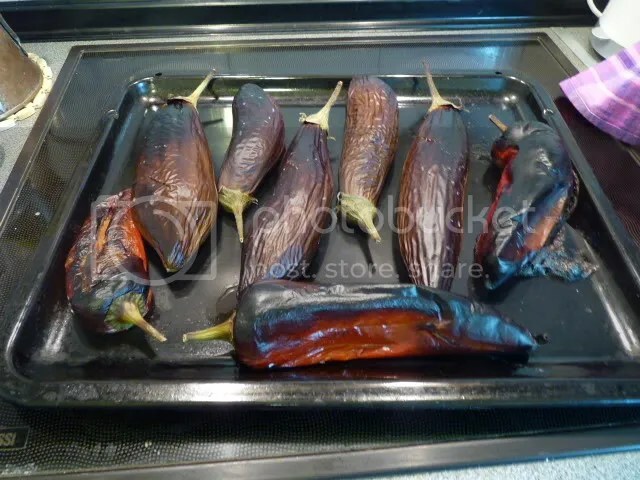 When the house starts to smell like eggplant, flip them over and put them back in for a few more minutes. Have no mercy on these guys. They should be well charred and burned. Slice off the tops and peel the charred skin off. If it takes more than a few seconds to peel each eggplant, they aren’t charred enough! The skin should come off very easily. Peel the peppers too. Don’t discard the seeds – they go into the dish. 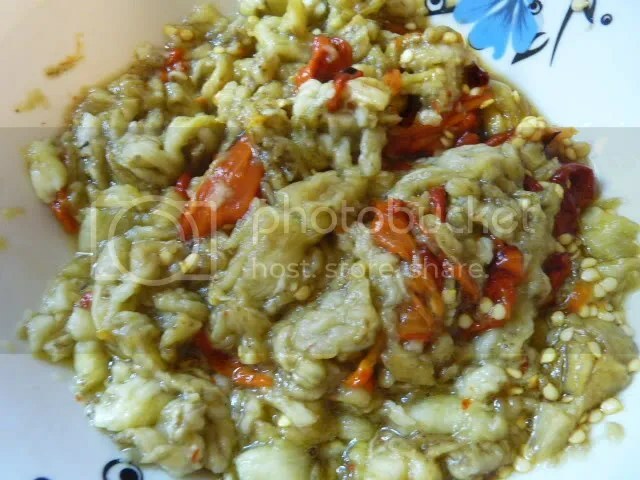 Chop up the eggplant and pepper directly in the bowl. 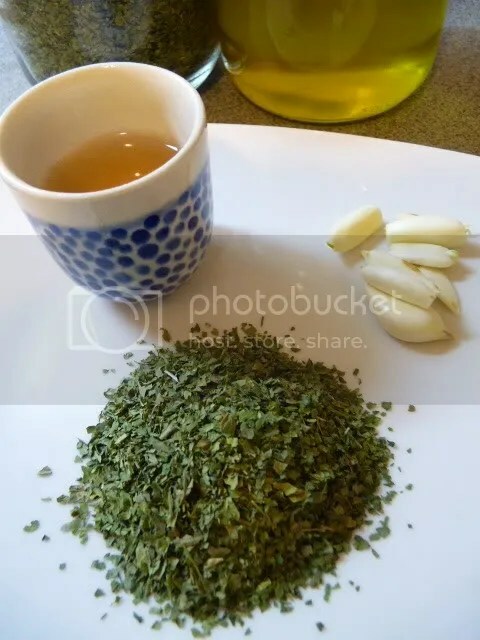 Press the garlic into the bowl, and add the parsley, vinegar, and oil. Stir everything together. Let it sit for at least half an hour before serving. This can go in the fridge; it will keep for around a week, and the flavors will intensify over time, so it’s a good make-ahead appetizer for a party. 1. Preheat broiler to maximum heat. * Stab each eggplant three times with a fork. 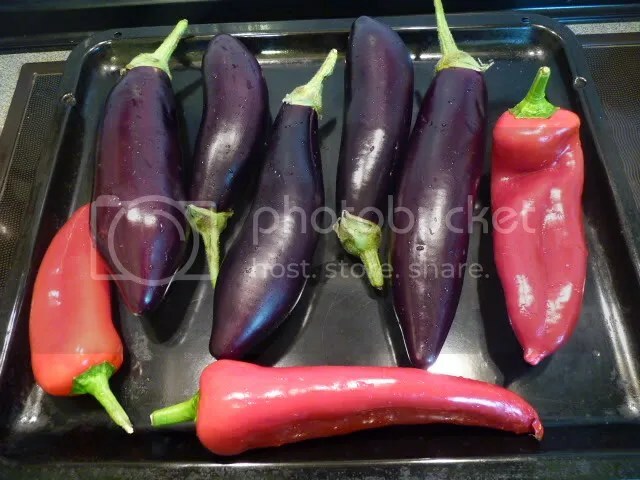 Arrange the eggplant and peppers on a baking sheet. Broil for 30 minutes or until well charred. Turn, broil another 10 minutes. 2. 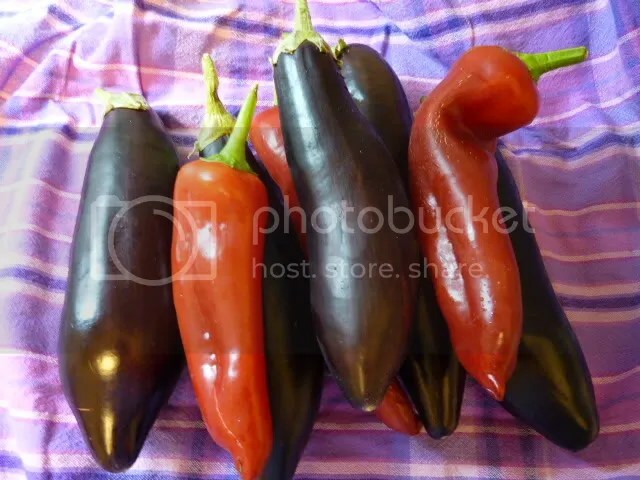 Remove the ends and skins of the eggplant and peppers. Chop the eggplant and pepper flesh roughly in the bowl. Press in garlic, add parsley, vinegar, and olive oil. Stir it all together. Season with salt and pepper. Allow to rest for at least 30 minutes before serving. 3. Serve with fresh bread. 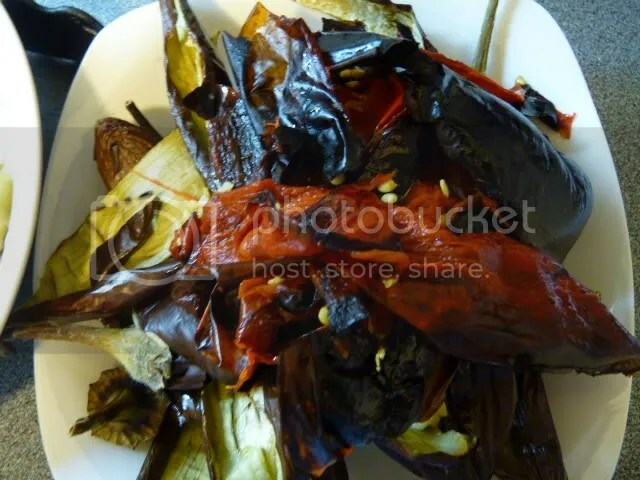 *You can also cook the eggplant and peppers over an open flame, either wood, charcoal, or gas. 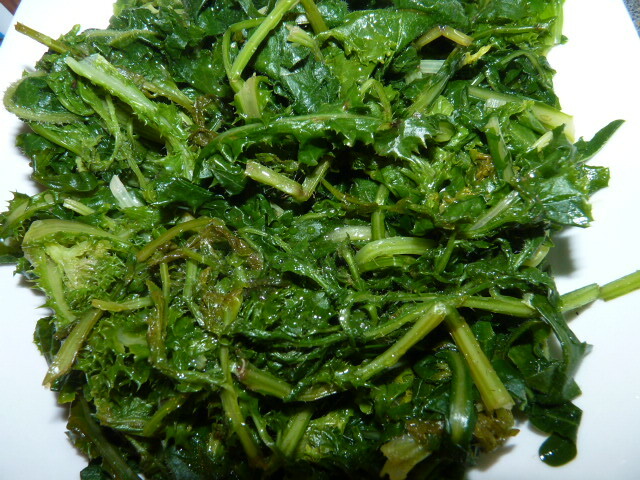 vitamin A, thiamin, niacin, vitamin B-6, phosphorus, magnesium, vitamin C, iron, riboflavin, folate, manganese, and copper. My first job, when I was a young teen, was working at a farmers’ market for a vegetable farmer who would park his truck in a parking lot a little before 6am, unload while I showed up, and then drive away, leaving me in charge of everything. I displayed the vegetables, weighed stuff out, made change. It remains one of the most fun jobs I’ve ever had. However, if there was one thing (besides getting up at 5:20am) that I didn’t like about that job, it was the okra. Okra hurts. 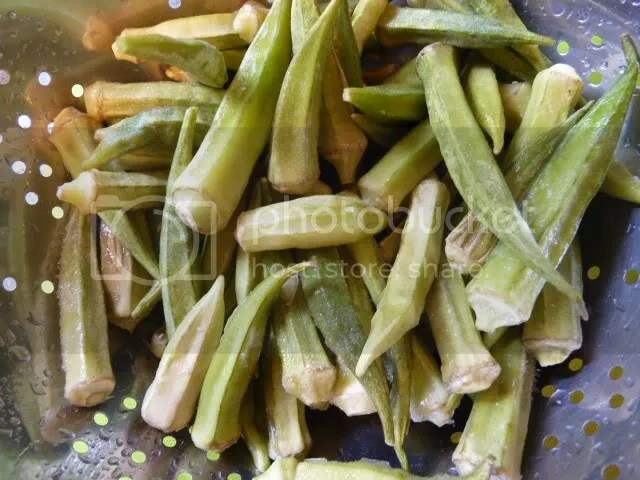 I had never eaten okra before, and it would be many more years before I would try it for the first time, but a lot of people in our town liked it, and it was my job to put it in a bag for them. It was like handling baby nettles. Not a lot of fun. 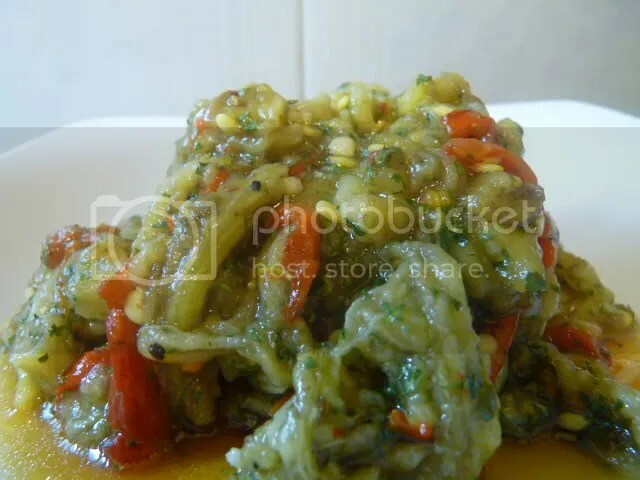 Okra is one of those vegetables that a lot of people don’t bother with. 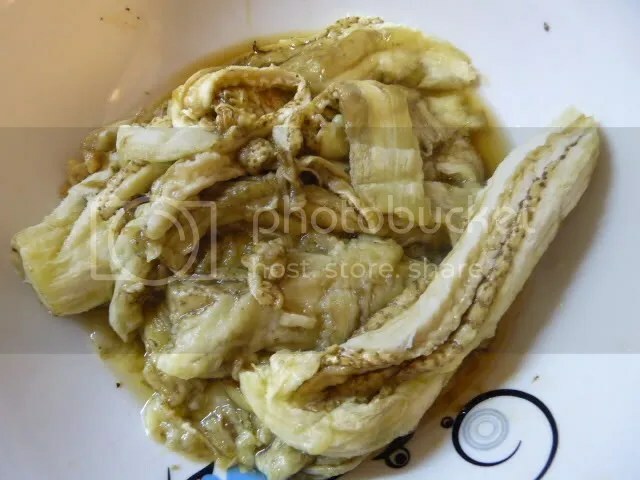 It has a weird name and it rarely shows up on the menu of favorite restaurants. 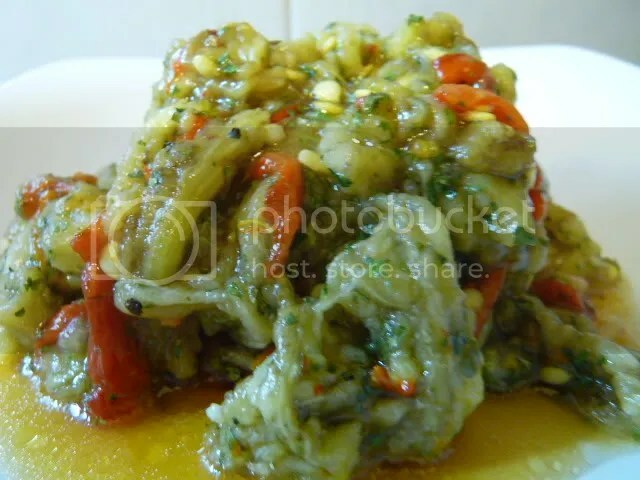 I re-discovered okra when I was on a diet. As it turns out, you could probably eat okra forever and never gain weight. It’s one of the lowest calorie foods in existence. And I discovered that if you buy it frozen, it isn’t prickly! Okra has a funny name in Greek too, borrowed from Turkish; maybe there’s just something about okra that makes people want to give it funny names. Here it’s called bamies / μπάμιες (pronounced BAHM-yes). This dish is about as simple as it gets if you want to understand Greek cooking. 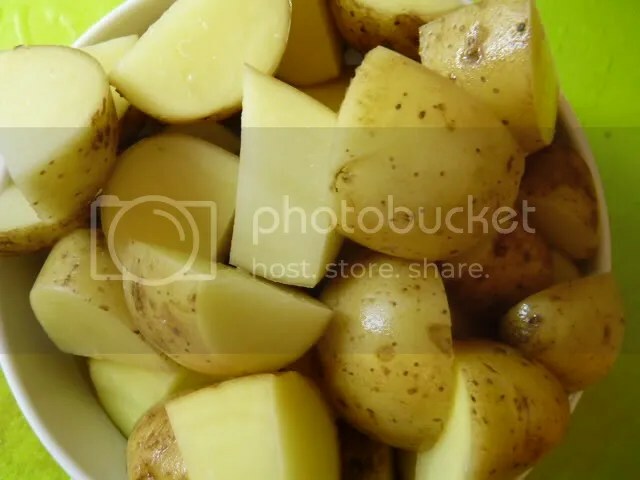 The simple Greek recipe of “chop up some potatoes, carrots, and onions and throw them in a pot with ______ and some tomato sauce” is the basis of many Greek dishes. So let’s get to it. 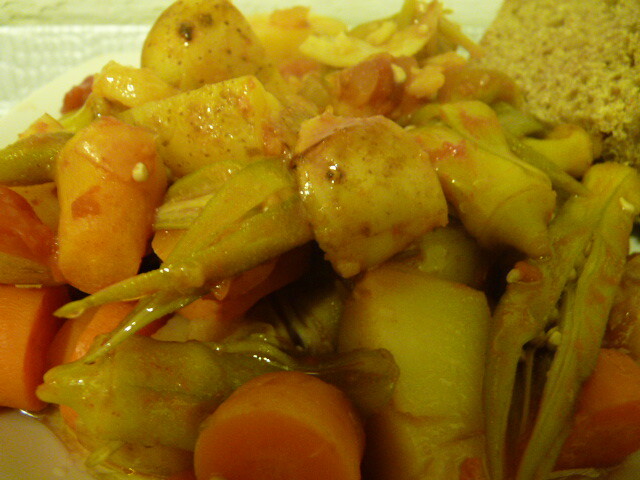 Chop the potatoes and carrots and throw them in a large pot with the okra. 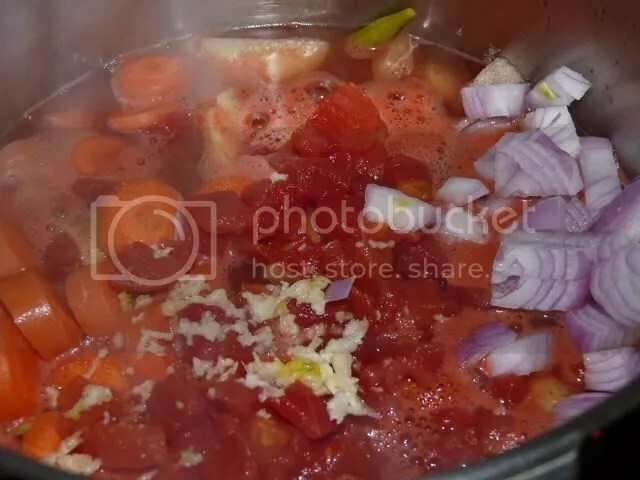 Add some onion, garlic, and diced tomatoes. 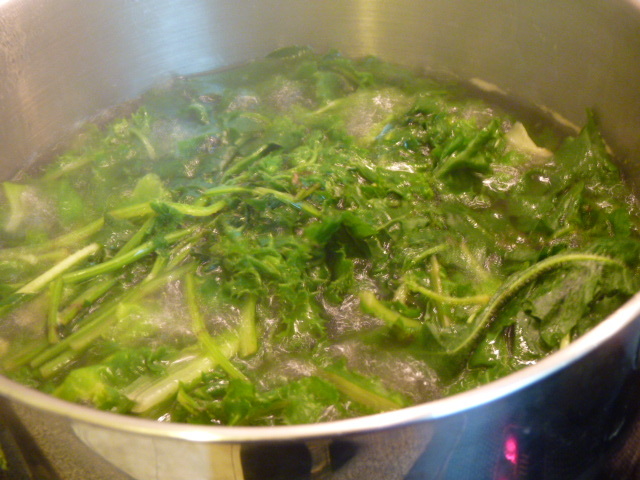 Add enough water to cover the whole thing, and stir well. Cover and cook until everything softens up nicely. Add olive oil and serve with bread. It’s that simple. 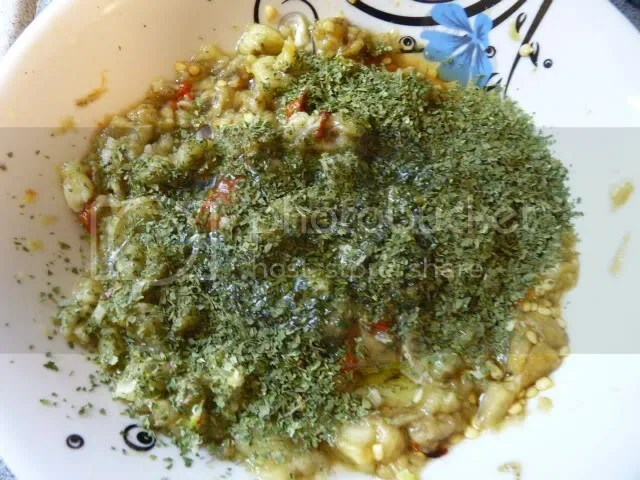 This is a very popular comfort food in Greece. 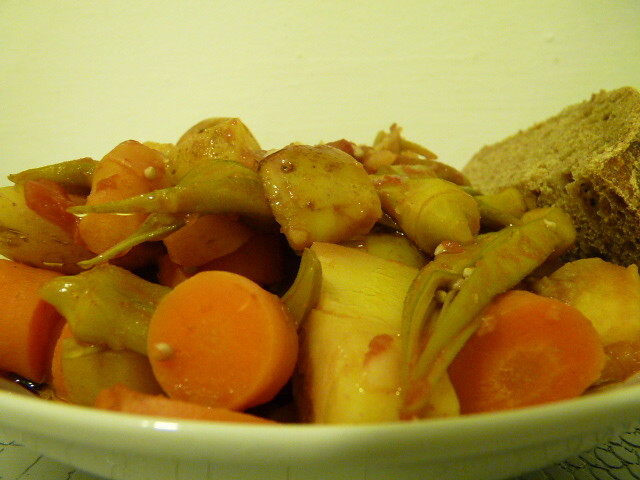 Warm and earthy and healthy and delicious! 1. 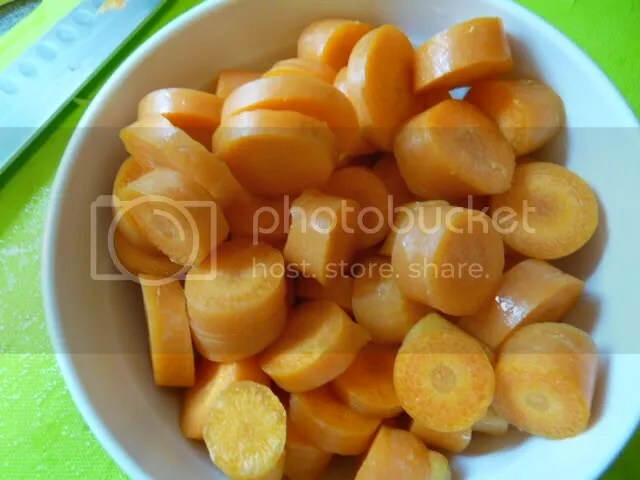 Put the okra, potatoes, carrots, onion, garlic, tomatoes, and salt in a large pot. Stir and cover with water. Stir well and cover the pot. 2. Cook on medium-high heat until the potatoes are soft and the okra has started to break down. 3. Pour 1 tbsp of olive oil over each serving. Season with salt and pepper. Serve with bread and a block of good Greek feta cheese. 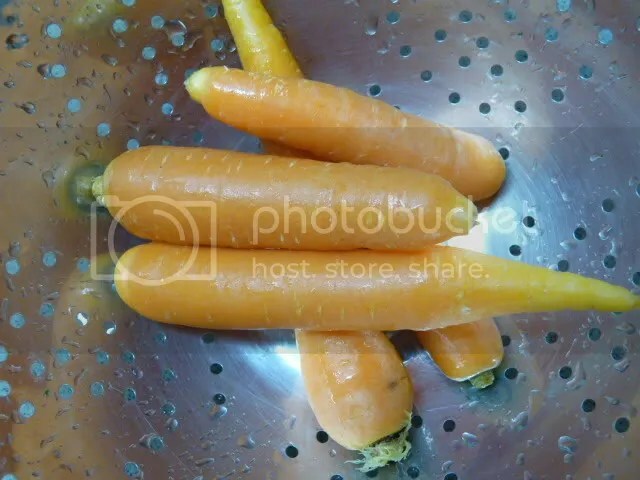 vitamin A (412%), calcium, thiamin, niacin, vitamin B-6, phosphorus, magnesium, zinc, vitamin C, iron, riboflavin, folate, manganese, and copper.